Gus Hunt serves as President and CEO of Hunt Technology, LLC, a consulting company focused on strategic IT planning, IT effectiveness and efficiency, cyber security, data-centric protection, and the cloud. Mr. Hunt is a recently retired federal government senior executive having served 28 years with the Central Intelligence Agency (CIA), most recently as the organization’s Chief Technology Officer. As CTO, Mr. Hunt set the information technology strategic direction and future technology investment plan for CIA. He was the motivating force behind CIA’s decision to acquire a copy of both the Amazon cloud and IBM’s Watson. As CTO, Mr. Hunt developed and implemented the CIA’s process for expanding technology discovery and accelerating the adoption of new IT capabilities, enabling the CIA to keep pace with technology change in the commercial marketplace. 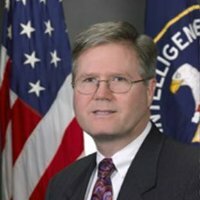 Prior to his role as CTO, Mr. Hunt served as the Director of Applications Services for the CIA, charged with building the information technology capabilities that enable the CIA’s operational and analytic missions. He set the vision and direction for application development at the CIA by shifting to Agile Development techniques; implementing a service oriented architecture; building core and common services to include security as a service and the enterprise data layer; and implementing earned value management and total cost of ownership business processes to dramatically improve management decision effectiveness. Mr. Hunt joined the CIA in 1985 as an analyst and subsequently served in varied analytic, operational, and technical leadership roles to include: Director of Architecture and Systems Engineering (ASE); Chair of the CIA Architecture Review Board; Chief of Research and Development for the Crime and Narcotics Center; and Deputy Chief of the Operations Support Group in the Non-Proliferation Center. By far the most important key to our success at Fortress is the quality of our employees, so we take our hiring practices and selection process very seriously. We know we can rely on Benchmark as a trusted partner because they understand our market and requirements, bring us the best-qualified candidates, and do so in a very efficient manner. We have been delighted with their results and I would recommend Benchmark to anyone but our competitors.